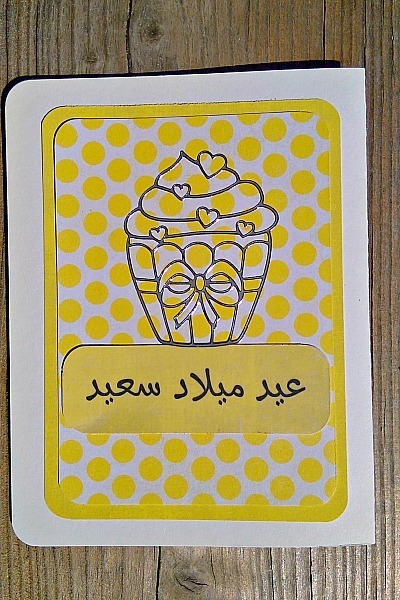 This Arabic Birthday cupcake card is the perfect card for a little girl who loves yellow, hearts, and cupcakes all rolled into one. 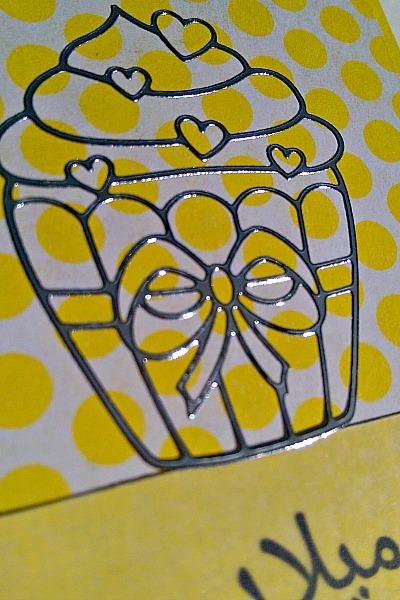 The cupcake is a silver outline sticker made up with hearts in the frosting and a pretty bow around the holder. 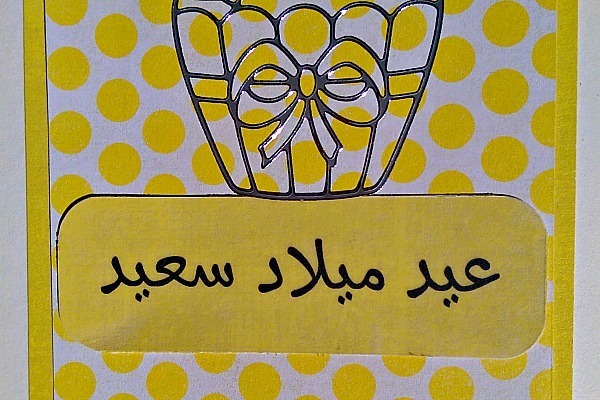 The words eid milad said, Arabic for happy birthday, have been printed on vellum and added to yellow cardstock. This was then added to two more layers of yellow paper, all beautifully matted and round edged. 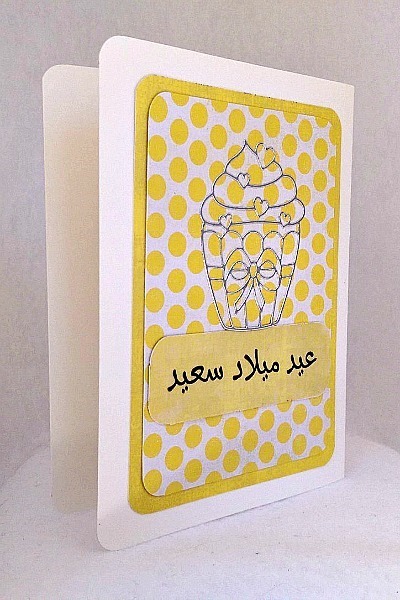 The base of the card is a high quality beige card that measures 4 1/4 x 5 1/2 and comes with a beige envelope in a protective plastic sleeve.